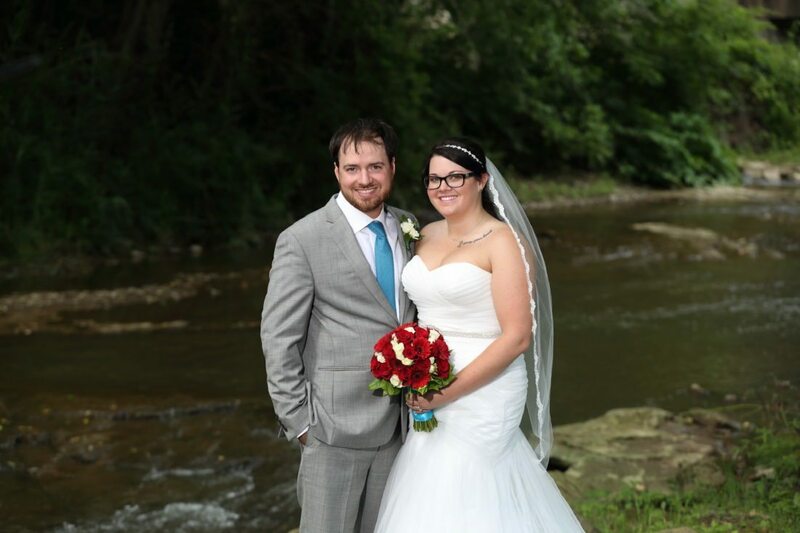 WEIRTON — Jessica Lynn Mercer and Ryan Edward Droppleman were united in marriage on July 9 at a 1:30 p.m. ceremony at St. Joseph the Worker Church in Weirton. The Rev. Manuel Gelido officiated the ceremony. The bride is the daughter of Karen Mercer of Moundsville. The groom is the son of Lawrence and Sharon Droppleman of Weirton. The bride’s grandfather, Bill Heedy of Moundsville, walked her down the aisle. She wore a strapless mermaid-style gown embellished with a crystal and pearl belt and carried a bouquet of red gerbera daisies with red and white roses. Emily Boyd served as maid of honor. 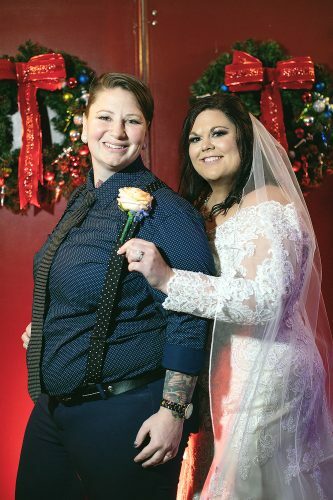 Bridesmaids were Erica Sapp; Kasie Droppleman, sister-in-law of the groom; and Cindy Mercer, sister-in-law of the bride. 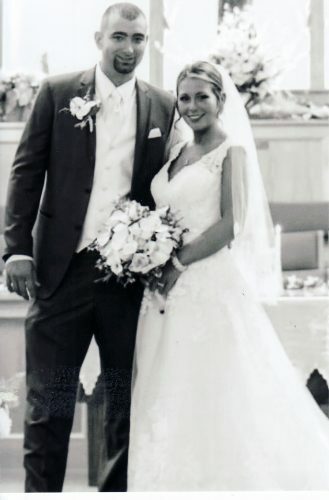 Ross Droppleman served as his brother’s best man. Groomsmen were Matthew Slanchik; Anthony Valles; and Dylan Mercer, brother of the bride. Nikelle Mercer and Kathryn Aston, nieces of the bride, were the flower girls. Brennan Droppleman and Gavin Droppleman, nephews of the groom, were the ring bearers. A reception was held at the Victorian Hall in Weirton. 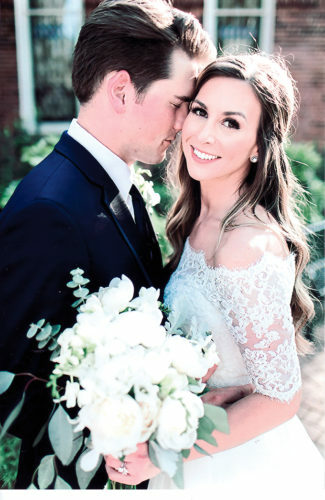 Following the reception, the couple honeymooned in Tybee Island and Savannah, Ga. 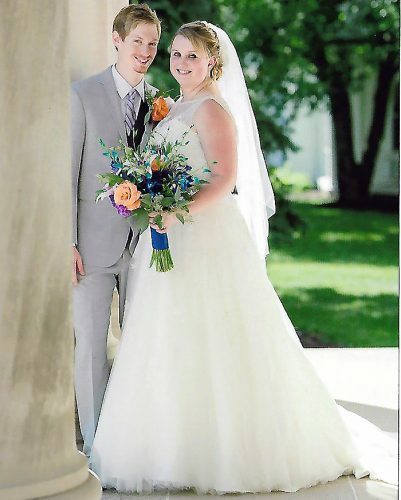 The bride is a 2009 graduate of John Marshall High School and a 2013 graduate of West Liberty University with a bachelor of arts degree. 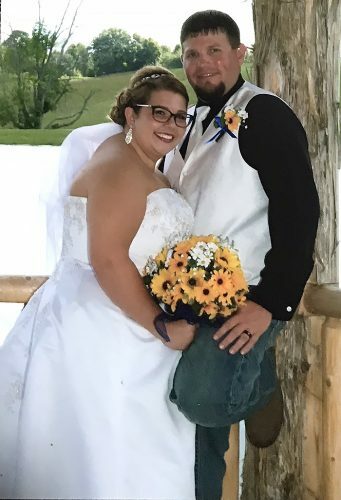 The groom is a 2005 graduate of Weir High School and a 2006 graduate of WyoTech, Blairsville campus.